Multifunctional Multimedia Streaming Server and Player for MS Windows. It supports following compression formats and streaming protocols: MPEG-1, MPEG-2, H.263, MPEG-4 and derivates, H.264/AVC, VC-1, LPCM, MPEG-1 L1/2, RTSP, RTMP, HTTPlive, WMV, ASF A complete software package for numerous multimedia applications: - WebCam appropriate application from small image to high resolution HDTV, robust, in good quality, also suitable for transmission through firewall and proxy - Video Streaming Server for conventional Multimedia Clients (Windows PC, Linux Notebook, Mac, Android Tablet, iPad, iPhone, Playbook, Flash Video, HTTP Live, RTSP, WMV Windows Media, ...) - Video Monitoring - Surveillance with remote access via WEB - Multi-Monitor Walls with Split Screen Technology - Digital Signage and Infotainment for Buses and Railway - Build-in TV in modern kitchens - In-House Video Distribution in banks, savings banks, railway stations, air ports, residential houses, ... - Video on Demand Media Server - Media Center for Set-top boxes and DVB sets (cards, USB DVB-T stick, ...) - Recording Center for WEB controlled TV recording - individual BigBrother TV - private IPTV for small till middle user groups Depending on combination of well matched bitcontrolÂ® Multimedia Suite components, further Multimedia applications can be provided for commercial, professional, and private areas in interacting with Third Party codecs and filters. 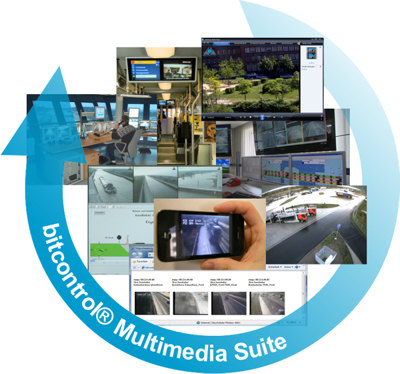 Various functionalities of the bitcontrolÂ® Multimedia Suite are provided by incorporated bitcontrolÂ® Software Components. They are: - bitcontrolÂ® Video Streaming Server - bitcontrolÂ® Simple Player - Client - bitcontrolÂ® Audio/Video Decoder - bitcontrolÂ® Digital TV Link with different Plugins - bitcontrolÂ® Multimedia Software Development Due to combination, parametrization, configuration, and Licensing of components the bitcontrolÂ® Multimedia Suite can be customized to meet individual requirements. This site does not contain serial number, crack, keygen bitcontrol(r) Multimedia Suite serial number : serial number is the simplest type of crack. A serial number(cdkey,product key,etc) is register the program as you may already know. a crack or keygen may contain harmful software. If you cannot find the exact version you want, just give it a try. for more information read .nfo/.txt/.diz file include in zipped file.